2. Open the LSUOnline course that you need to edit. 3. 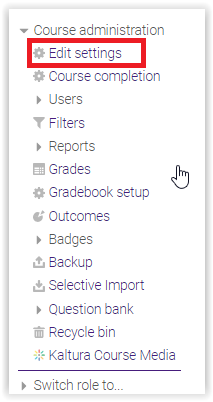 Click the Admin Settings button in the top right corner of the course page. 4. Click on Edit settings. 5. 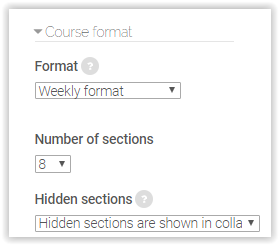 Use the Course format tab to change the number of sections available for the course. This can be done by using the dropdown box to select the number that you want to use.